Do Indian techies really appreciate art? A business park in Bengaluru holds some answers. 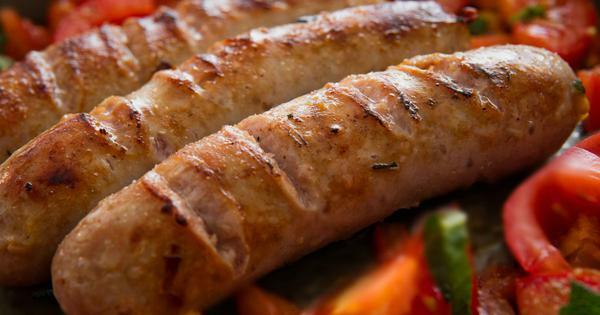 In the middle of a business park, surrounded by employees enjoying a warm afternoon outside before heading back to their desks, 1,400 kilograms of stainless steel glints in the sunlight. 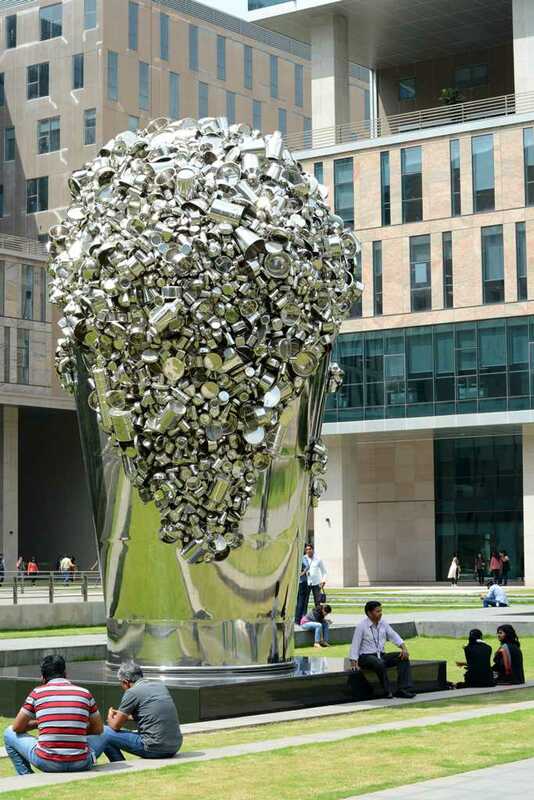 The massive sculpture – a 21-foot bucket brimming over with kitchen vessels – is one of seven pieces that have turned the office space into an expansive open-air gallery in Bengaluru. 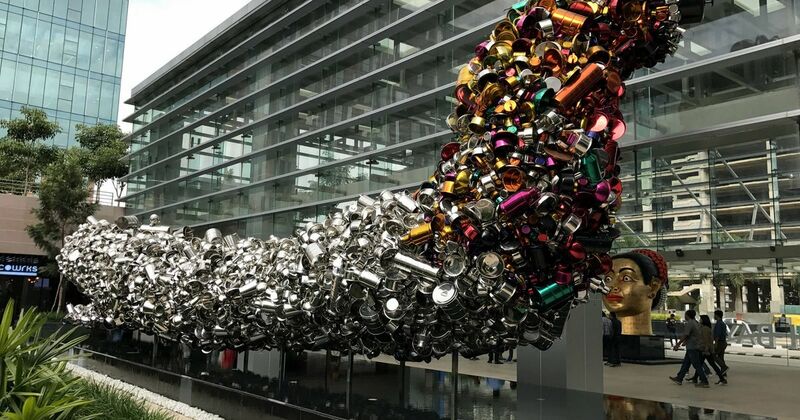 The steel sculpture, Dreams Overflowing, is by artist Subodh Gupta, one of six celebrated contemporary Indian artists whose work is housed at RMZ Ecoworld. Almost all the pieces in the permanent collection are displayed outdoors and are open to the public as well as employees of companies such as Sony, Infosys, Honeywell and Capgemini, to name a few. Art enthusiasts looking to experience contemporary art in India would typically head to a museum or gallery. Gallery Skye, Gallery Sumukha, Chitrakala Parishad and National Gallery of Modern Art are a few of the well-known galleries in Bengaluru and while these traditional spaces have their benefits, an outdoor exhibition allows the artist to create bigger and bolder pieces, and is much more accessible to audiences. At RMZ Ecoworld, the sculptures are displayed in The Bay, a building with offices, an open-air deck and the business park’s main food and beverage area, with restaurants, pubs and cafes. Planning this art space began two years ago and involved each artist visiting the site and choosing a spot for their work. For Dharitri, she chose a quiet grassy alcove on the business park’s sprawling deck. The piece represents one of Burman’s favourite subjects – the mythical female embodiment of earth. And having the sculpture displayed outdoors perfectly complements the graceful figure’s connection to nature. “Through the sculpture, you see the beautiful blue sky,” said Burman. 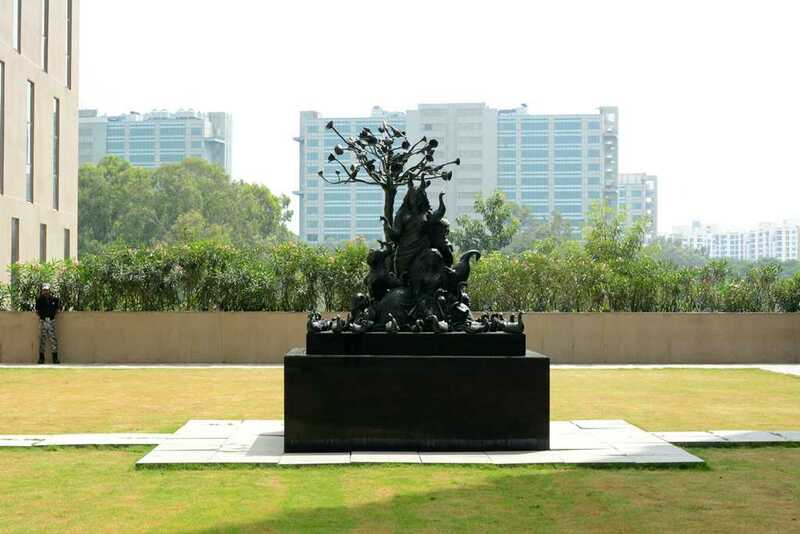 Anu Menda, the managing trustee of RMZ Foundation said that over the next few years, they plan to add roughly 20 more sculptures as well as expand the collection to Hyderabad, Chennai and Mumbai. The foundation is an initiative of RMZ Corp, one of India’s leading commercial real estate developers. Although the artists showcased at Ecoworld have gained both international success and recognition, their work needs a platform for greater exposure in India, Menda said. By creating a public gallery, the foundation offers both employees and visitors a chance to experience and enjoy the presence of good art. “The idea was to make [art] accessible and open for all,” she said. The 22-acre RMZ Ecoworld in Bellandur has more than 23,000 employees. On a recent Friday afternoon, the food court was teeming with people grabbing lunch, strolling outside and stopping to take photographs in front of the artwork. 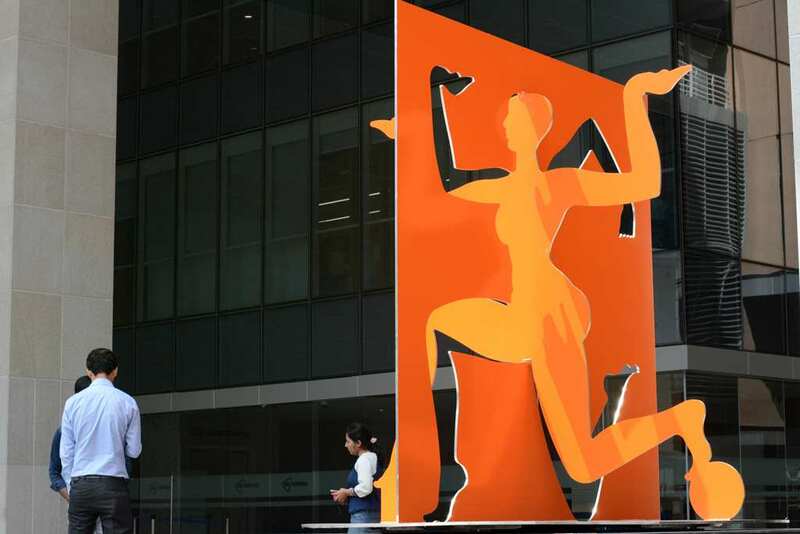 Priyanka Singh, who has been working in the business park for over six months, was sitting with her co-worker Nirmala Prasad near Gupta’s Dreams Overflowing when she saw yet another person posing in front of the sculpture to take a picture. “It’s a good selfie point,” she said. Singh and Prasad don’t usually take an interest in art, but they’ve made the time to learn about the sculptures through informational signs beside each piece. When Singh first saw Dhruva Mistry’s Spatial Diagram, a crimson and vermillion movable sculpture with outlines of the male and female form, she saw the figure as a woman balancing her work and personal life. Though she said the artist’s description ultimately did not match her perspective, it didn’t stop her from having her own interpretation. “You do feel encouraged to know more about it,” she said. Since July, artworks have become an intrinsic part of the business park’s landscape. Along with Dharitri, Dreams Overflowing and Spatial Diagram on the outdoor deck is Arunkumar HG’s The Link. Walking into the building, you come face-to-face with G Ravinder Reddy’s Devi, a sculpture of a woman’s head that represents his most iconic work. Gupta has a second sculpture at the entrance titled Thosa Pani, a wave-like figure made with stainless steel vessels that appears frozen in time over a still pool of water. “The exposure is huge,” said Paresh Maity, whose sculpture The Force is exhibited in the centre of the food court. A traditional art gallery show may see roughly 5,000 visitors, “but in public art, maybe 50,000 people will view [the art] every day”. 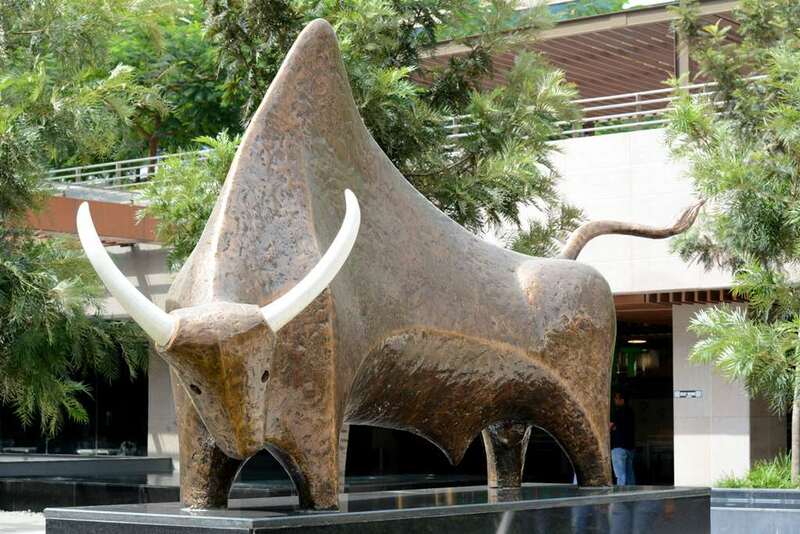 Maity’s sculpture of a bull was inspired by the cave paintings of Harappa and Mohenjo-daro. He sought to depict the grace and power of the animal through the simplicity of those ancient drawings. The artist also wanted the animal figure to be placed within nature and surrounded by greenery. 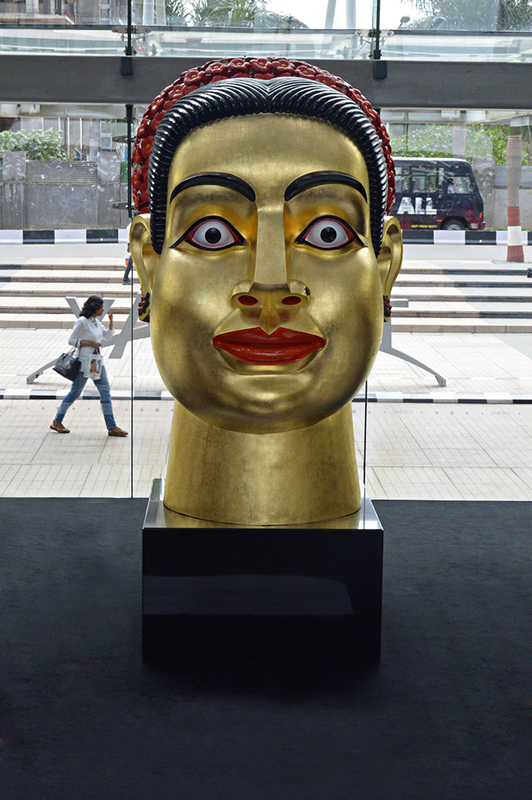 Ravinder Reddy’s head sculptures have become some of his most iconic pieces. ‘Devi’, with her unwavering gaze, protruding lips and golden skin, is a quintessential example of his work. But an outdoor gallery comes with its own challenges because of the impact of weather on the pieces. Reddy, whose work was also featured in a retrospective at RMZ Ecoworld’s gallery, chose to have his sculpture placed in the glassy foyer of the building, so it could be protected from natural elements.